Putting together a handtool kit is important. Matt and I just bought things as they came up. Well, you can benefit from the experience and mistakes we had over the last decade of using tools while clearing, building a house, barn, roads and a vineyard using the bare minimum a lot of the time. When you are 25 and broke but still want a house one day, you do what you got to do! 31 Renting Versus Buying power tools. 31.1 You may not need some of the tools I talk about. What you need depends on your unique situation. Wood is traditional, and some people prefer it, but fiberglass handles have some advantages. I have busted some wood handles, and sometimes mauls get left out in the weather when you have a homestead. It just happens. You may be very careful, but chances are you have forgot a tool out when you were tired or trying to juggle multiple tasks. Fiberglass can take a lot of impacts, and it doesn’t split like wood if neglected. Wood has a bit more give to it and is more comfortable for many to use. One thing to consider is buying a whole new tool versus replacing the handle. If the metal is special then in may be worth it. 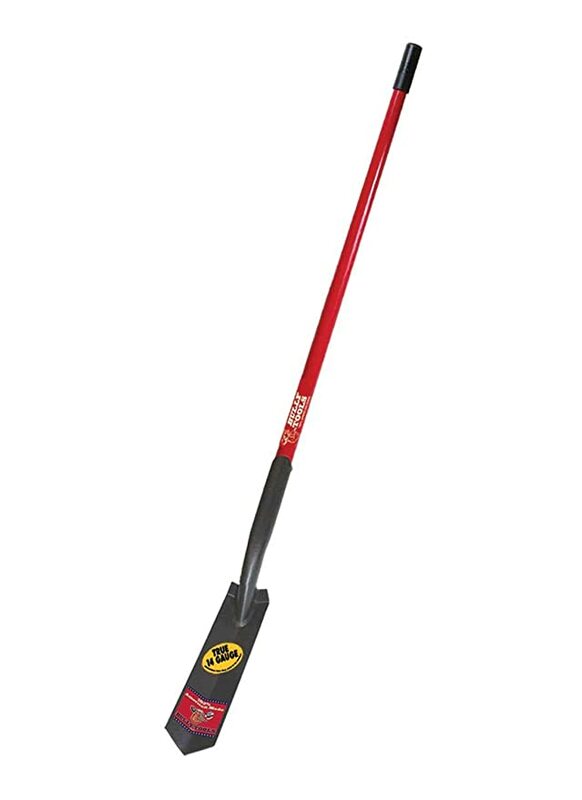 If you are buying $30 mauls and the handle is $10-$15, and it takes you 30 minutes or more to replace the handle, you may just find that you want to buy a new one and use the head as a wedge. Hand tools may not have the scare factor that gas or electric tools have, but that does not mean you should let your guard down or use some when you are tired. Teens and kids can use some tools fine but if you have a young person in your life that goofs off a lot you better take a few minutes to go over rules. Brush axes, mauls, etc. can all be deadly. Always wear good shoes. Hiking boots are the absolute minimum that I wear when using hand tools, and for things like the brush ax, I wear thick logging boots. 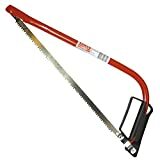 This is useful for driving wedges into wood and general firewood splitting. You can get a 3lb or 5 lb head maul. If you get a chance, pick up both and see how they feel. The type of handle you get makes a difference too. I have used mauls with heavy heads and handles, and it just wears you out too fast when you have a lot to do. If you are a big guy then maybe you will feel different about the heft and size of the maul. Bully Tools makes some excellent quality tools for the homestead. They became available at my local hardware store a few years back, and they have a great lifetime warranty. They are moderately priced, and I have yet to break a shovel from them, and we have been through a few! 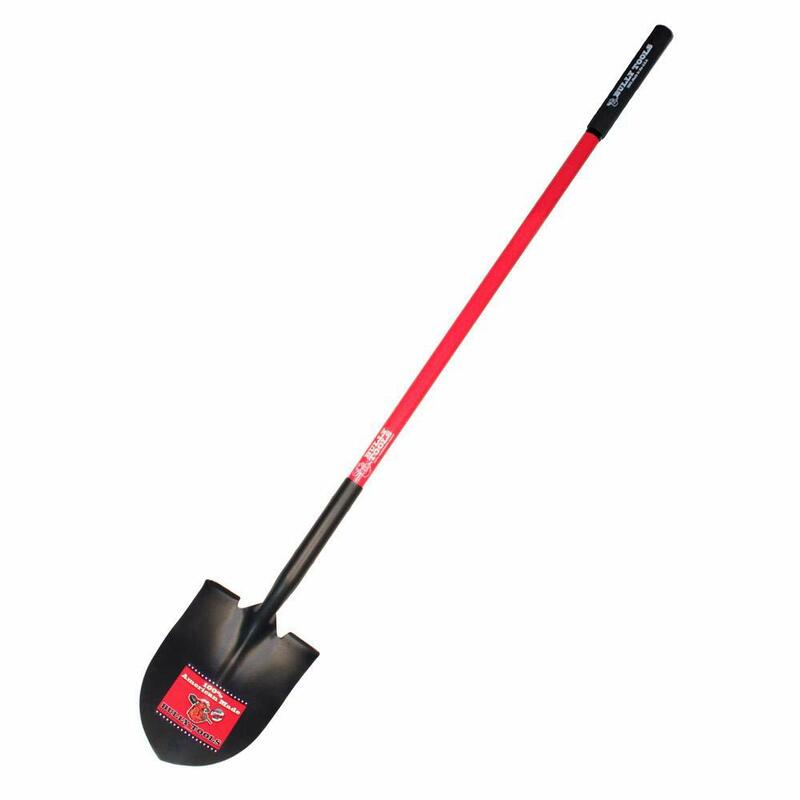 A flat shovel is useful for leveling and loading or unloading loose gravel, dirt, etc. from a truck or wagon. We used one a lot building our house and when we had to place something on the ground. Living on a mountain means you have to create level ground sometimes! On larger trenches, it can be nice to have instead of the classic small trenching shovels. 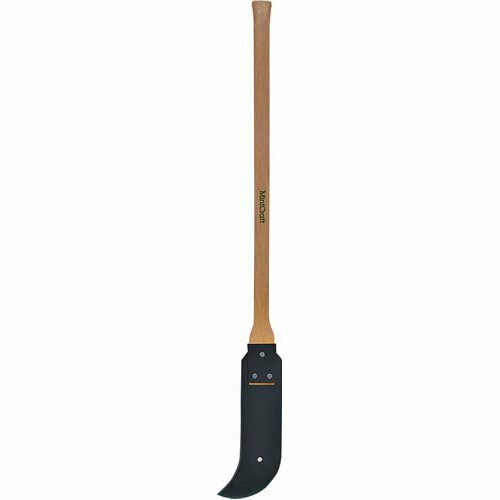 The classic garden hoe is the standard, but there are other variations like adze and such. I recommend keeping it basic at first if you have never used any of the specialty hoes out there. These are formidable looking. I have to say you want one that is not super heavy and wide. We had one that was awful to use. It would wear you out when the other person would be going strong with the thinner and lighter ax. We did not have money or resources for machines to clear everything in our place. I still remember how excited Matt was when he came back and told me of the first paths he created and the areas of our land he had explored. It was like a jungle in a lot of ways. Just so overgrown! Don’t expect your brush ax to come sharp enough to be very useful. You will need to use a flat file or a Dremel tool to sharpen your brush ax. 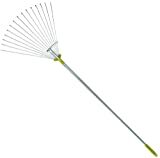 You can knock so much brush down with one of these and even cut down saplings a few inches thick if you are feeling determined. This is already a part of many reader’s preps, but you need a good one for a homestead too. This allows you to dig thinner trenches and make the sides nice. This is good for leaves and light debris. It does a good job lightly cultivating and aerating the top layer of soil without digging up your grass. 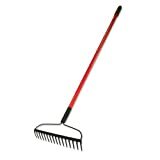 This is a much stronger rake and used for rougher work. The tines don’t bend like a yard rake, It can be very frustrating if you have to use the wrong kind of rake for the job you are doing. 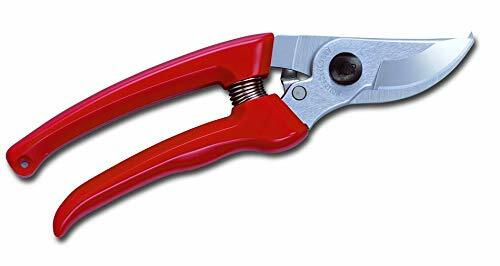 We use ARS Pruners for our hand pruners. These are used to prune grapes and pick too. They are very sharp and made really tough. Don’t settle for the $10 pruners that just break in no time at all. 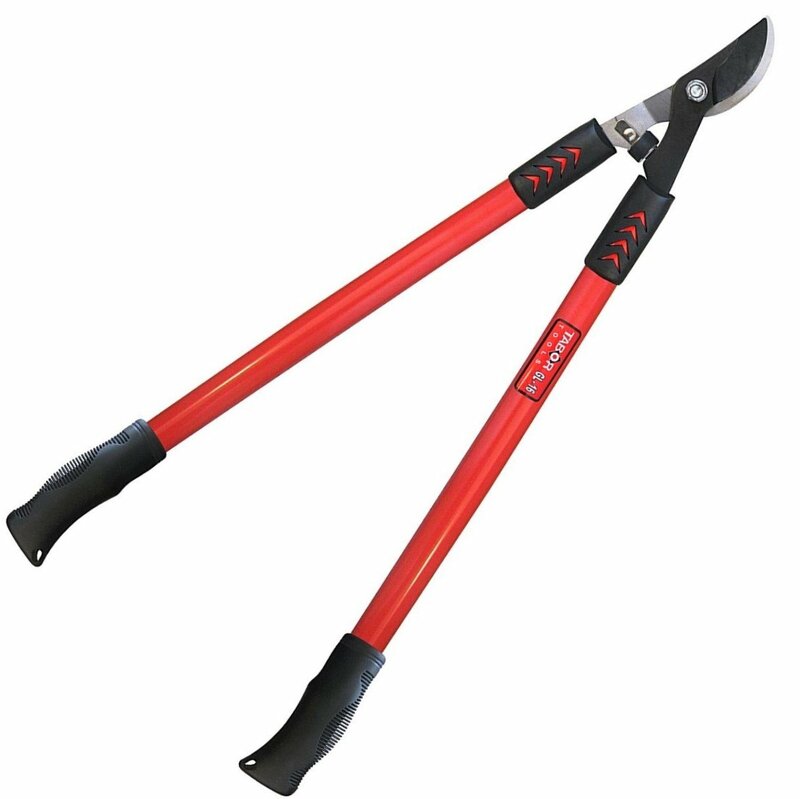 If you don’t lose ARS pruners, you will have them for decades with a little care like sharpening and maybe using some lubricant. The handles of large pruners always seem to be the failing point for me. Sometimes they are just attached to the head in a way that does not hold up. They are not full tang like a knife. Go for a mid-priced set from a known brand. Many companies have changed where they make their items or have gone for lower cost market shares, so brands like Fiskers are not what they once were. Some of them may be alright but not the same. If you ever wondered why your Grandpa or father had so many hammers, I can explain it. Different hammers for different needs. A 20 oz hammer is a lot different in feel than a 16 oz hammer. If you do much as far as construction goes you will want to have hammers in various sizes. Sledgehammers are for major smashing. A maul can be used in place of a sledge but some may not want to put the wear and tear on their favorite maul. Sledgehammers come in different weights. 8 lbs is a good one to start with but if you are a big strong person you can get them that are 16 lbs or even 20 lbs. That might not sound like a lot of weight but it is when you are swinging it around. If you need to be forceful but don’t want to break something or scar it then you need a rubber mallet. This is a good thing for tile work for example or putting down another flooring. A large and small crowbar is recommended. Sometimes you may want to upcycle something, fix an old building, etc., or you might make a mistake doing something. It happens to everyone no matter how skilled, but in the beginning on a homestead, you should not set to high a standard for yourself. It takes time to learn things, but you will get there if you want it bad enough and realize you are not going to always get it right the first time! This is a formidable looking tool for sure, but it should be on every homestead or prepper community. My husband and I have used a pipe wrench for changing out parts on vehicles, changing propane tanks, loosening or tightening large bolts, etc. There are a lot more uses. It is not a bad thing to have for a weapon either if you really have to. A flat bar is different than a crowbar, and you need one! A flat bar helps you get between two hard places without hurting yourself. You may want several sizes for different jobs. A flat bar helps out when you make mistakes and need to pry two boards apart or just when you need some extra leverage. I am not going to be using a cross cut or misery whip anytime soon, but a bow saw is a great tool if you get a decent one and change out the blade often enough. It can be very hard to find a bow saw that is comfortable to use and they do come in various sizes. There are a lot of very cheap ones out there. You can improve a cheaper one by changing out the blade for a more expensive one. Oh my, I have used one of these enough that I feel sore just thinking about it. 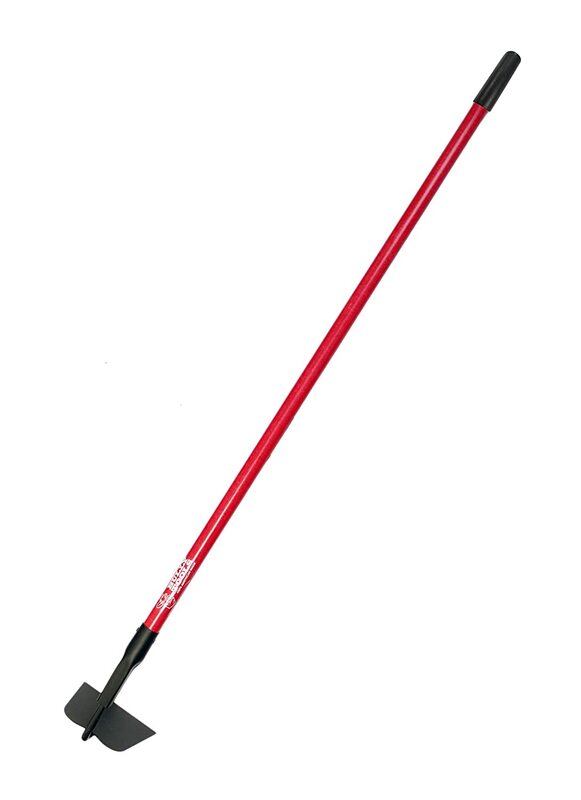 The mattock is useful for cutting a fire line, getting a trench started, breaking up roots and rocks. I have busted through some very rocky spaces to cut roads or lay a foundation using this tool. A pick is useful for applying very direct and pointed force. It is great for when rock is really hard, and you want to get it cracked fast. You are going to go through a lot of post hold diggers over the years if you do much fence building. My advice is to get two pairs of inexpensive post hole diggers. Matt and I have learned from experience that most of the expensive ones don’t seem to last much longer than the cheaper ones. New handles for post hold diggers cost as much as buying a new pair of the inexpensive ones, so it is not worth it. Some of the fancy post hole diggers don’t grab as much dirt at once, so you just wear yourself out slamming them into the ground time and time again. There will be times when you need to clip branches that are high up. To do this safely you need a pruning or pole saw. Quality can vary a lot and using one that has a dull blade can make you feel like you are using a cheese grater to cut down a tree. Hand drills are terrible to use. Find a way to keep your cordless drill charged. There are plenty of options. Smaller drills are fine for some applications and people. A lot of the tools I am listing below are found in a lot of all in one household tool kits but the quality on already put together kits can vary a lot. Matt and I like to buy tools individually so we can pick and choose for quality and purpose. There is nothing wrong with getting a kit that is already put together but there is an excellent chance that you will be adding a lot to it! I completely understand the need to watch what you spend when starting out on a farm, homestead, new venture, etc. but when it comes to tools, you should go for not the most expensive but not the cheapest either. You do get into diminishing returns or paying for a name or marketing if not careful. People expect to pay a lot for Milwaukee or Dewalt, but Bosch or Hitachi can really take on a big project for considerably less. Renting Versus Buying power tools. I know this post is just concentrating on hand tools, but inevitably there will be a time when you start out with a hand tool and realize it is a bit too much of a job. The temptation to rent a tool is there. Nail guns are faster than hammers but renting one and a compressor for $40 a day makes no sense unless you just need it for a single day. You can buy a nail gun and compressor for what four days rental cost. There has been at least once where we rented scaffolding for way longer than we should have. We could have bought it. If we had completed the project in time, then it would have worked out, but things happen. Renting is only a good option for high dollar tools and if it is something you only need every so many years. You may not need some of the tools I talk about. What you need depends on your unique situation. I know that I have listed a lot of tools and they all cost a bit of money but keep in mind that these are all things you can buy one at a time. Matt and I certainly did not buy all this stuff at once. As we planned out more projects and discovered our needs, we bought things. If you have a lot going on at your property I would be willing to bet that you will acquire most of what I have talked about and possibly even more! What hand tools do you use the most? Do you prefer fiberglass or wood handles? Have you had a positive or negative experience with any of the brands I talked about? For all of you seasoned homesteaders out there, what brands do you think have significantly decreased in quality? Ready for more info on prepping tools? Get Backdoor Survival LIFELINE! My Dad taught me how to use an axe in 1967. I didn’t much enjoy the lesson, but still make my living with hand tools. When buying a shovel you are going to dig holes with the most important thing is to get one with a large step so you don’t ruin your boot soles with a hard day digging. Carry a file to work with you and stop now and then to sharpen the blade, be surprised how much more you can get done with a sharp shovel. And watch out buying fiberglass handles, a lot of them have a wooden end to mount the blade on, a point of weakness. Wood and fiberglass both will give you blisters but wood doesn’t seem to sting as much. A mason’s hoe is also a nice tool (holes in the blade), and a hoe with a triangular blade is the best invention ever for filling a hole back in.